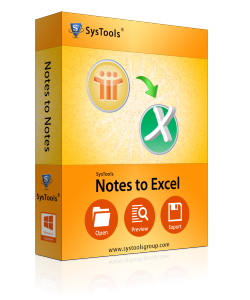 The address book of Lotus Notes contains innumerable contacts which are proficiently converted by the tool in MS Excel spreadsheet in couple of minutes. The software export contacts along with the properties to an Excel document. The tool export contacts from Lotus Notes to Excel together with its attributes including business details, personal details, emails and all other information attached to it. This enables the user to save all the details in an XLS document format. The software slickly convert Lotus Notes Address Book to Excel and automatically saves the file to the source location of names.nsf file. Along with this, the user can provide the destination to where the exported Excel file has to be stored if required. The tool maintains a simple user interface which can be effortlessly handled by both technical and a novice. The software export contacts from Notes to Excel in very simple steps and the only requirement is the installation of Lotus Notes. Can I recover the deleted contacts from my address book? How many contacts can I export in one stretch? You can export unlimited number of contacts in one go without any difficulty using the software. Do the multiple email addresses saved along with the contacts? Yes, multiple email addresses attached with the contact are also exported to excel document. Does the software work on Mac OS? What is the file extension of the exported contacts? The exported contacts will be saved to .xls file format.